Is that sarcasm or is he hitting on fat chicks at Walmart? 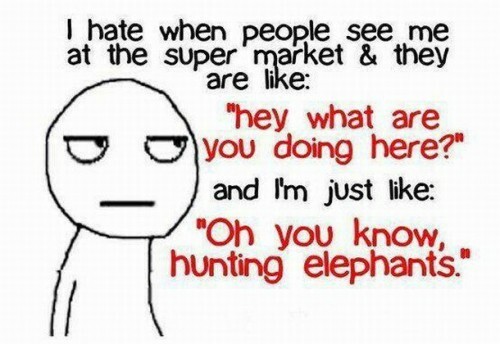 Never once has someone I know asked me “what are you doing here” at the supermarket. Well? What ARE you doing in the sporting goods? Hmmm? ?